Rating: 2.2. From 6 votes. 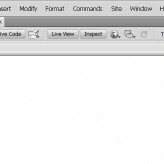 This tutorial shows how to add images in HTML editor. 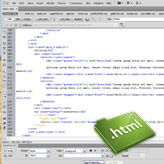 You can add images to your HTML page with any HTML editor however we recommend using Adobe Dreamweaver or Notepad++ applications. 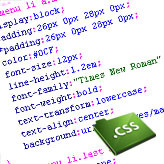 Adobe Dreamweaver offers web developers to edit HTML files in design mode. This mode is effective if you are not professional web developer. It let’s you see the HTML page as it will be displayed in browser. 2. Put cursor where you want to insert an image. 4. In the appeared window select the image from your computer and click OK.
As a result you will see an image added to your page. Using the img tag you can add image to any place of your HTML page. There are 2 required tag attributes: src and alt. SRC attribute contains root to the image file. It can be located on your server or at some other one. ALT alternative description for the image. The attribute will show text when you hover your mouse cursor over the image. It is required for the page validation. This entry was posted in Working with HTML and tagged HTML, images. Bookmark the permalink.